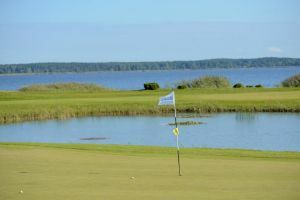 We offer a choice of over 1 golfcourses spread out thru Latvia. Book green fees and tee times in REAL TIME and get your confirmations immediately. Ozo Golf Club is the first 18-hole golf course in Latvia and is one of the most technologically advanced courses in Northern Europe. The course has 18 holes, with a total distance of 6400 meters from the back tees, and can surprise everyone with its variety.